It’s time for a long overdue roundup of the November and December 2018 Community Game-Along themes! There were a lot of great games played over the two months, so read on if you’re looking for any new titles to add to your to-play list! 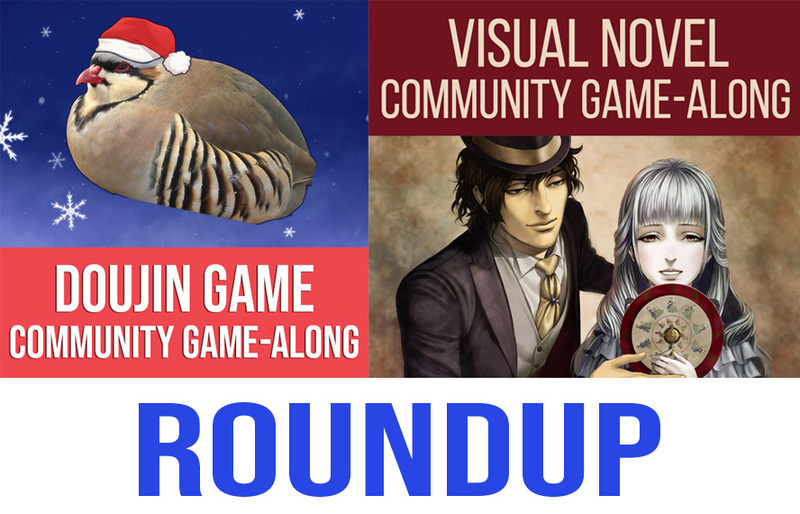 It is with a mournful werewolf howl that we bid adieu to the Horror Game Community Game-Along and dive headfirst into one of my favorite Community Game-Along themes of the year: visual novels! November is the only month I can be certain I’ll participate in regardless of how busy I am, because I’ve always got at least one visual novel I’m chipping away at. At first it was a little harder to have a broad range of quality titles available to recommend in English, but with every year there are more and more amazing visual novels to choose from! Late last year, I decided to bring back the monthly Community Game-Along roundup posts after a suggestion from a reader. 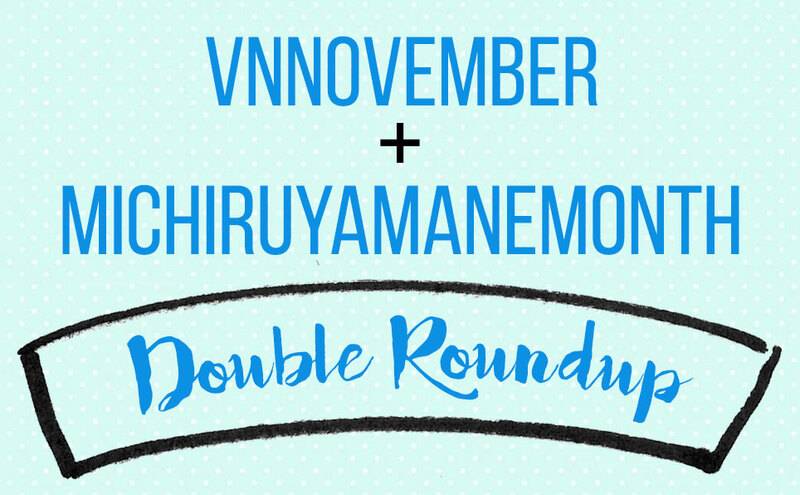 But with my trip to Japan at the end of November and the hectic holiday season, I completely dropped the ball on posting roundups for November and December‘s themes! I’d still like to highlight some of the great contributions and game selections from folks who participated, so I’ve decided to combine both months for today’s post. I’ll do my best to make sure I’m not this late again! I’m always a little sad when Halloween is over and November 1st rolls around, because that means cute bat and spooky pumpkins decorations are no longer in season. 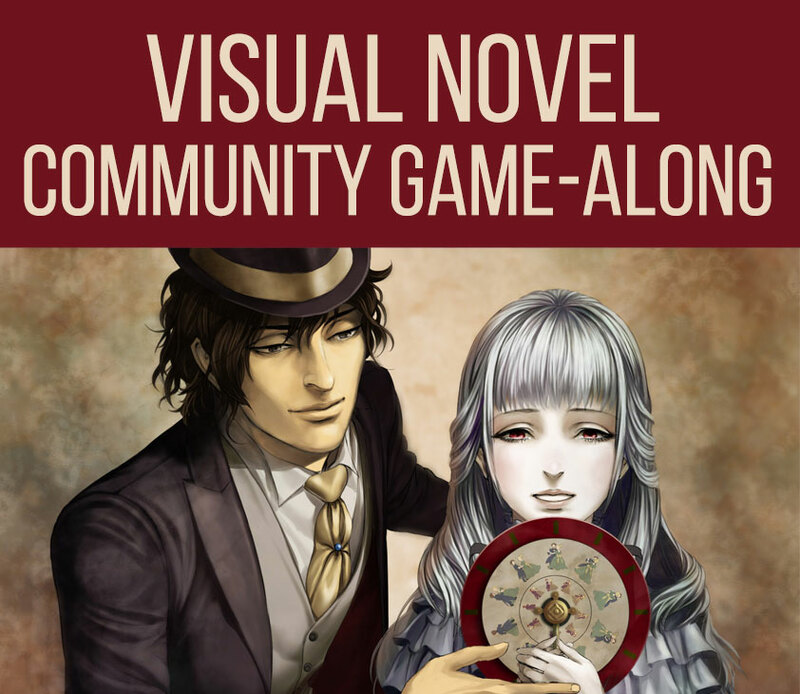 But to combat the post-Halloween blues, I’ve decided this month’s Community Game-Along theme will be one of my personal favorite genres: visual novels! Who doesn’t love visual novels? It seems like everyone is hot on the genre these days, with more and more titles being localized into English and events such as the International Love Ultimatum Jam making visual novels, particularly those of the romance variety, increasingly visible. There are even some folks who would like to take that love for visual novels one step further to make their own, which is where the recently-released engine TyranoBuilder comes in. Touting an easy to use interface, the engine has large shoes to fill considering its competition, Ren’Py, is available for free and has been the go-to engine for western visual novel developers for years. Does TyranoBuilder bring enough to the table to make it worth the $14.99 price tag, or does the sweet price of free reign supreme? 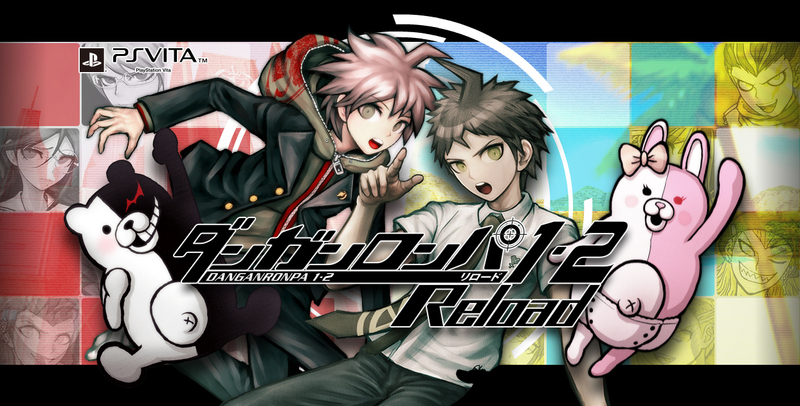 Community Game-Along: Play Visual Novels in May! A new month means a new Community Game-Along theme, and this year, May is all about visual novels! We’ve had a ton of great otome game visual novel announcements recently, and while romance definitely is a central theme to many visual novels, for the month of May, any and all visual novels are game! If you’re new to the visual novel genre, now’s as good a time as any to start! 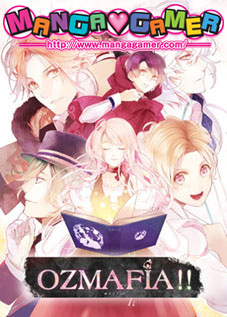 While visual novels generally forgo traditional gameplay to focus on text-based narration, voiced dialogue, and the occasional decision to change the course of the story, many other genres also incorporate visual novel elements. In the interest of getting as many people involved as possible, any games with significant visual novel portions, such as Danganronpa and Zero Escape, are going to be included in the “visual novel” umbrella. Since we didn’t get a lot of buzz for last month’s theme (poor Yuji Naka! ), I’d like to remind everyone to utilize the hashtag #VNMay on social media. All you need to do is pick a game that fits the theme and talk about your experiences to participate in the Game-Along. 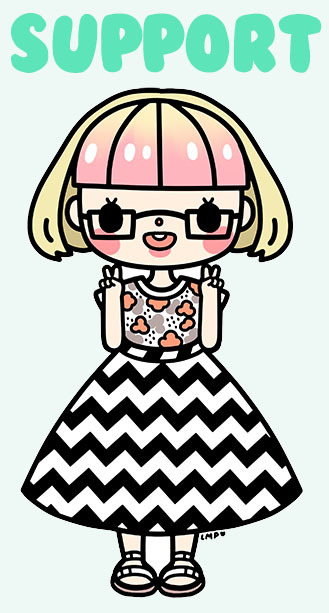 Don’t forget to share any lengthier thoughts you may have in blog posts, podcasts, or your favorite medium of choice! If you’re stumped as to what to play, here are a few games to get you started. Who doesn’t love a good visual novel? English speakers are slowly catching on to what might my favorite video game genre, one that focuses on text-heavy narratives and “choose your own adventure”-like branching story lines instead of complicated, action-based gameplay. Whether it be a traditional dating sim, otome game, or something else entirely, visual novels are unique and now, even easier to make yourself!